Seyfi is one of the founding partners of Moroglu Arseven. He advises closed and public corporations, funds, financial services companies, and banks in a variety of important and innovative transactions, as well as other complex matters. His advice to clients includes cross-border bank mergers, commercial and competition regulatory compliance and investigations, project finance and tailored contracts for the pharmaceutical sector. He has worked on both sides of a high number of strategic cross border joint ventures and acquisitions. 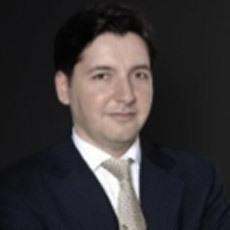 Seyfi taught Corporate and Commercial Law, Capital Markets Law and Secured Transactions as an Associate Professor at Yeditepe University School of Law and Koç University School of Law between 2002 and 2008. He was a founding member of the Turkish chapter of Entrepreneurs’ Organization and on the Executive Committee of the DAV German Bar Association Turkey. He regularly publishes articles in professional journals as well as online legal resources. He holds a Bachelor degree in Law from Istanbul University. He also holds Masters and Doctor of Law degrees from Hamburg University.